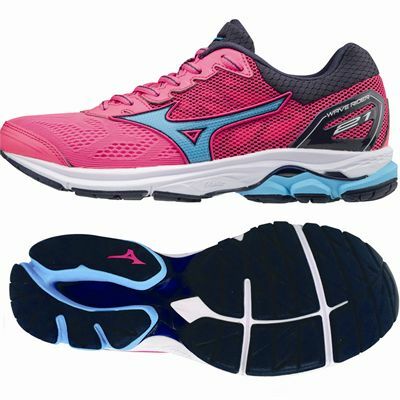 Made for neutral runners seeking dynamic cushioning, the Mizuno Wave Rider 21 ladies running shoes are anatomically engineered to help you increase performance and offer a snug fit and great air flow thanks to AIRmesh upper. 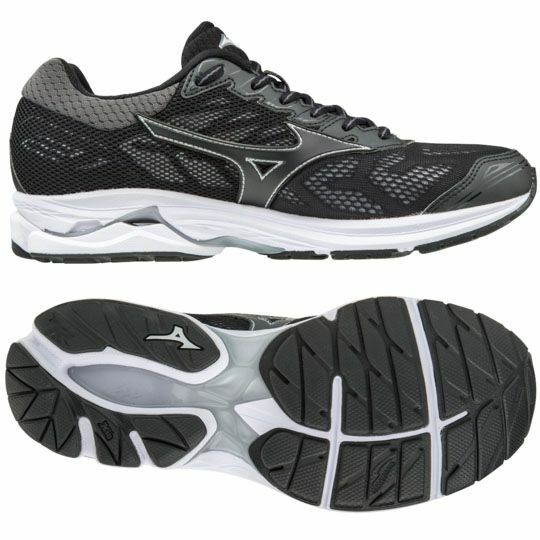 They weigh only 245g (8.6oz) for a lightweight feel and Mizuno Wave® technology in the midsole delivers a cushioned and more responsive ride while keeping the shoes soft and stable. 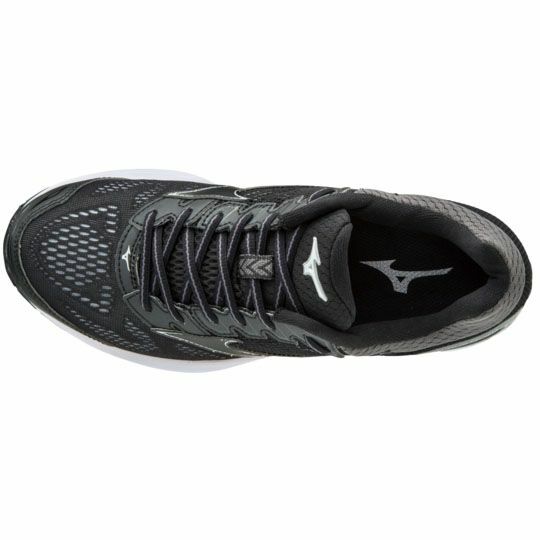 There is an anatomical sockliner for added comfort and more underfoot cushioning and the outsole is produced from durable X10 carbon rubber for improved traction and longer wear in high-impact areas. 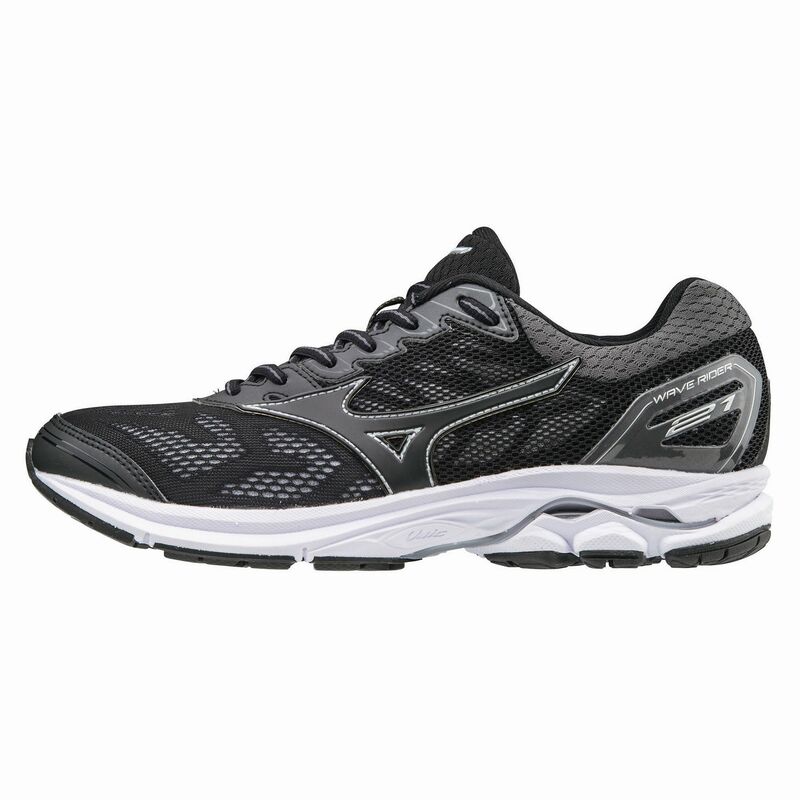 for submitting product review about Mizuno Wave Rider 21 Ladies Running Shoes.